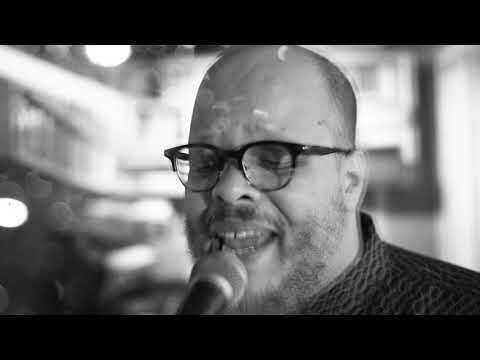 Ed Motta's recent album "Criterion Of The Senses" was released in early September 2018. 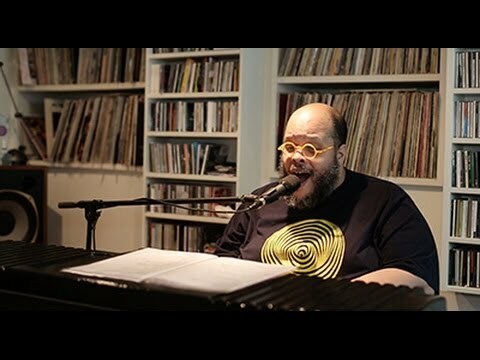 “Ever since the late 1980s Ed Motta is the reference for jazzy soul from Brazil.”, says Rolling Stone about The Colossus of Rio, internationally acclaimed singer, composer, entertainer & bon vivant, who, in his 40s, is a living music legend in Brazil already. Amongst others, colleagues & friends like Gilles Peterson, Roy Ayers, Seu Jorge, Bo Diddley & Ryuichi Sakamoto worked with him in the past. AOR music has always been “his first love”, and so it’s quite evident that his upcoming album will be deep-rooted in this musical genre also known as Yacht Rock. Authenticity is an illusion. A pretty one, but still and all a product of our imagination. Only a select few things can be determined as "real", ultimately our personal perception determines what we believe to be authentic. Here’s where we take a detour into the neurobiological realm of the senses, a largely unexplored world of wonders that stimulate the heart and mind through hearing, sight and feeling, as perfectly exemplified by "Criterion of the Senses". This temple of an album by the Brazilian Sultan of Soul Ed Motta marks his return to "AOR" - with the highly acclaimed album of the same name, "the best album Steely Dan never made" (soulandjazzandfunk.com), Ed Motta became the pioneer of the ever growing fascination with "Adult Oriented Rock", also known as "Yacht Rock", some five years ago. Recently, his compilation “Too Slow To Disco Brasil” received highest accolades from Record Collector to Mixmag. "I'm a collector," admits Ed Motta, no news for his 450,000 Facebook friends. "Most obviously of records - I have about 30,000 LPs in my collection. For me, the collection is personality, it’s the thing that moved me to make music, to go to the piano and to be one of them. As in “I’m going to do that thing that I love to hear so much”.” How well he succeeds at this is more evident than ever on "Criterion of the Senses", an album which presents eight all new tracks, a discrete forty minutes playing time, perfect for two sides of an LP, each one of them holding and unfolding a universe. The sound spectrum ranges from Soul to Fusion to Funk and Soft Rock, thoroughly and passionately recorded and produced at Estudio Marini, A Casa and Ed Motta's own Dwitza studio, all of them based in Rio de Janeiro. The names of the featured musicians may not mean much to us, but their musical ability alone explains why they have been worshiped in Brazil since the Seventies. With their solos and even in the airtight ensemble playing, they give these songs, all of them composed, texted, arranged and produced by Ed Motta, exactly that sensual quality he himself appreciates as a listener. "Lost Connection to Prague", track 1 on the A-side, starts off the proceedings by offering the warm Fender Rhodes sound and the clear elegance of what sounds like a lost bonus track from "Aja". 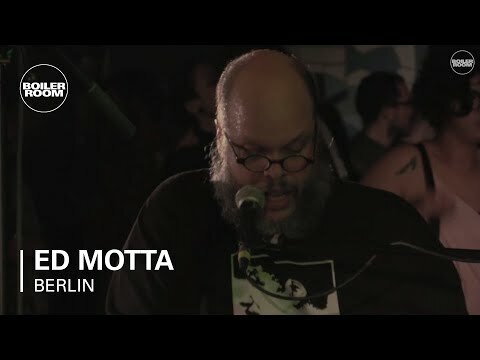 Even here, despite the subdued vocals, Ed Motta's greatest gift reveals itself: his voice. It works like a friendly invitation into his emotional world, sometimes deeply and gently flattering, then again with the soulful depth of a Donny Hathaway or unbounded in the excitement over the superficial service phrase "There's your voucher!". The sophisticated stepper "Sweetest Berry" shuffles into the heart of every Soul sister, while "Novice Never Noticed" keeps its somber tension with complex harmonies and breaks. "Required Dress Code" breathes a strangely uplifting melancholy and also presents one of the most beautiful hooks on the album. On to the B-side: "X-1 in Test", a real heartbreaker, explores the relationship of soul and jazz-funk, also with the background vocals of Brooklyn bred singer Alma Thomas. Bass-clarinet in a Pop-song? The beautiful "The Tiki's Broken There", a double lead vocal with Cidalia Castro, answers this question in the best possible way. From the rough synth bass line to the hand claps, "Your Satisfaction Is Mine" is the most danceable sort of disco funk, circa 1982, and the lead single of the album, personally selected with Motta-Intimus Bluey of Incognito. As if turning the radio-dial from the R&B-station to SoftRockFM, "Shoulder Pads" pays homage to the Eighties of Walkmen, VCRs, and shoulder-padded jackets with hair-rocking guitar riffs, and a hair-raisong electric-guitar solo. The lyrics, also written by the perfectionist mastermind behind "Criterion of the Senses", are multi-layered pieces of art in their own right, sometimes abstract poetry, sometimes straight love-songs, open-ended short stories inspired by science fiction, espionage, adventure and crime thrillers, or Franz Kafka, once even with a quote from Shakespeare's Hamlet. The clear positioning and stance, apparent in every detail of this multi-layered pop album, as well as Ed Motta’s flawless artistic concept, could ensure, as it was recently stated in a completely different context in a blog on Freitag.de, "to expose authenticity as that which it will ultimately always be: a presentation, a media construct." Either way, with or without ulterior motive and philosophical discourse, perhaps only in the delightful freefall of sensual pleasures," Criterion of the Senses" is a magnificent album, possibly even – a sentence that has to be included in any authentic artist bio/CD info – Ed Motta's best. „Ever since the late 80s (Ed Motta) is the reference for jazzy Soul from Brazil. (…) His baritone thrones in voluminous lushness. (…) In his unexcitedness lies an immense perfection, in the relaxed manner a grand love of detail." „Seit Donny Hathaway hat kaum jemand so geklungen, das ist der Maßstab, der hier angesetzt werden muss. Butterweicher Jazz-Soul-Pop wie zu besten Steely-Dan-Zeiten." Motta is a master of the cool, elegant, smooth groove with an edge. Superb album.